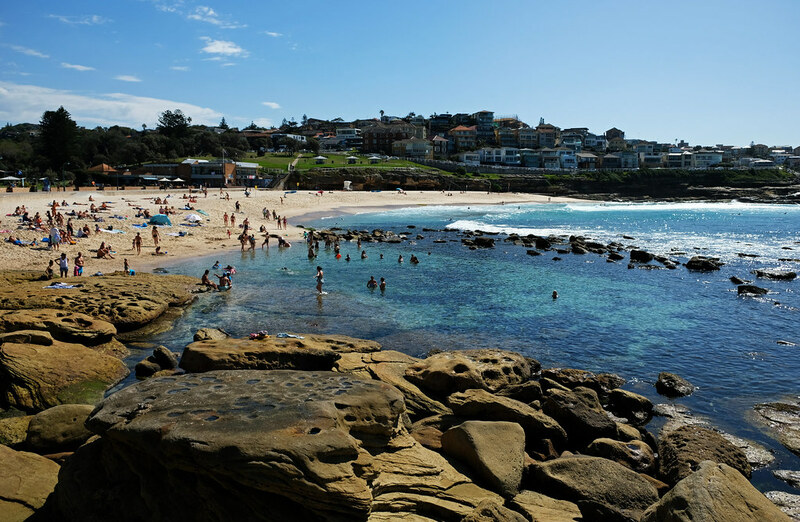 Surprise or not (probably not), one of our favorite things to do in Sydney was chilling out on the beaches. 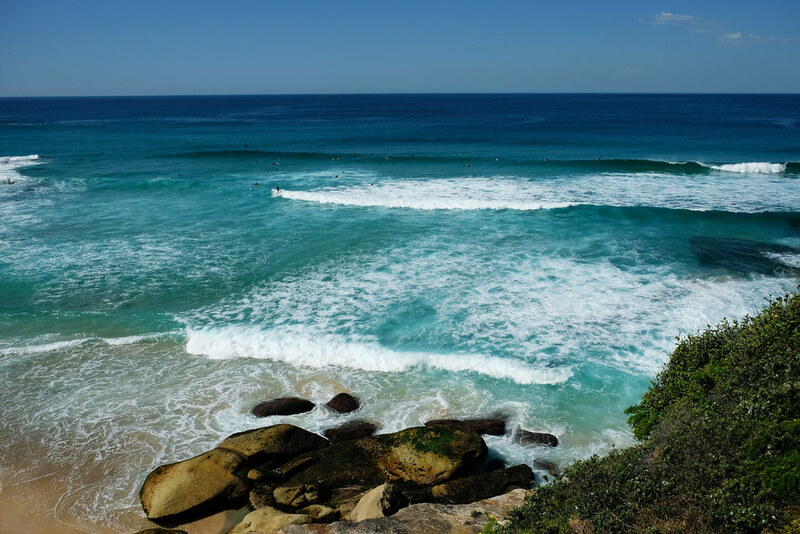 First of all, Sydney has wonderful beaches: sand is soft, water is clean, facilities are great, and everyone can find a suitable beach because there’s a huge variety. 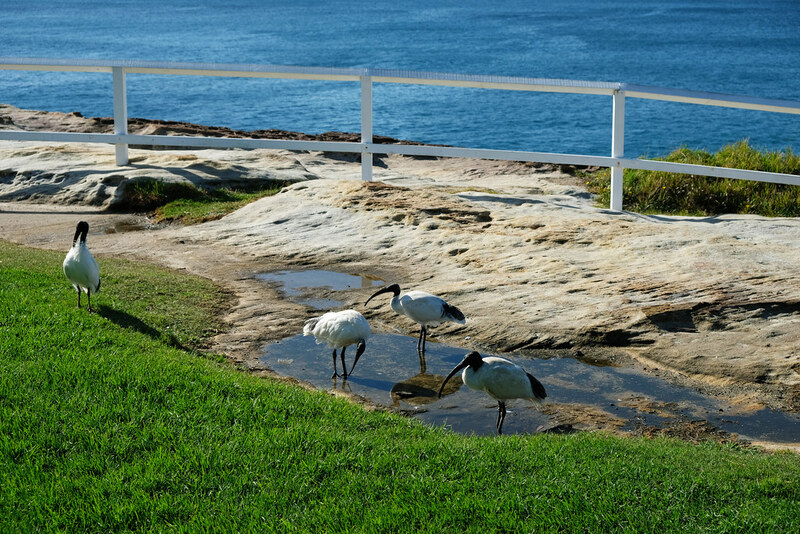 On the other hand, there’s a lovely coastal walk that led us to the most beautiful beaches – and it became one of our favorite coastal walks along Australia’s Eastern coastline. 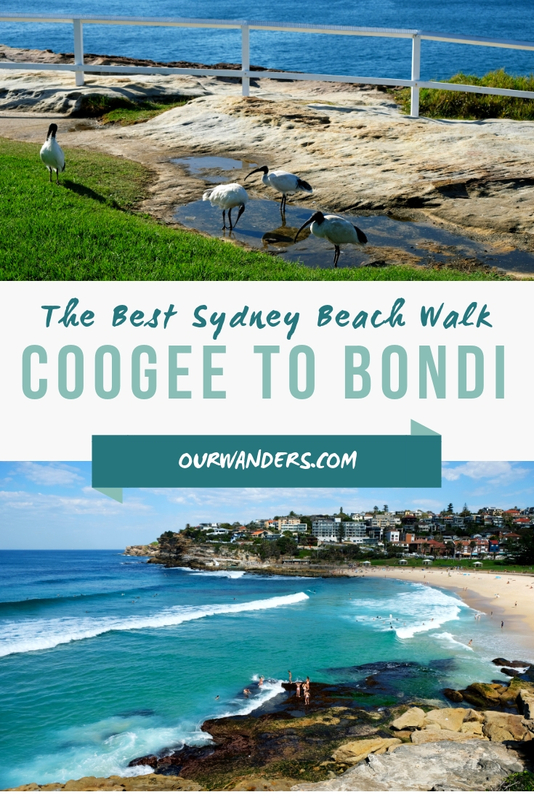 It’s called the Coogee to Bondi Beach Walk. Out of our 2 days in Sydney, we spent almost a full day walking the track from Coogee to Bondi Beach, and exploring the beaches on the way. And we could only recommend you to include it in your Sydney itinerary. For us, the beach vibe is just as strongly belongs to Sydney as the Opera House or Circular Quay. And we love it! So let us show you what we found along this fabulous beach walk. But as soon as we got to the park and the beach, we forgot about all the parking hassles. It was a clear, sunny morning, there were rarely anyone on Coogee Beach. We started with a swim. Then we started to walk along the coast with views of Coogee Beach and Sydney’s coastline. We soon reached the next bay: Gordon’s Bay. It’s not really a beach (neither it’s patrolled like all the other ones in Sydney), it’s a rocky bay. But that’s the reason it’s probably the best snorkeling area in Sydney. It even has an official underwater trail (yes, it’s a thing!). So we stopped for about an hour again. Our backpacks were full of beach and snorkeling gears for the day. And needless to say, we already felt that 8 hours might not be long enough. After a fun time at Gordon’s Bay, we continued the beach walk towards Bondi Beach. 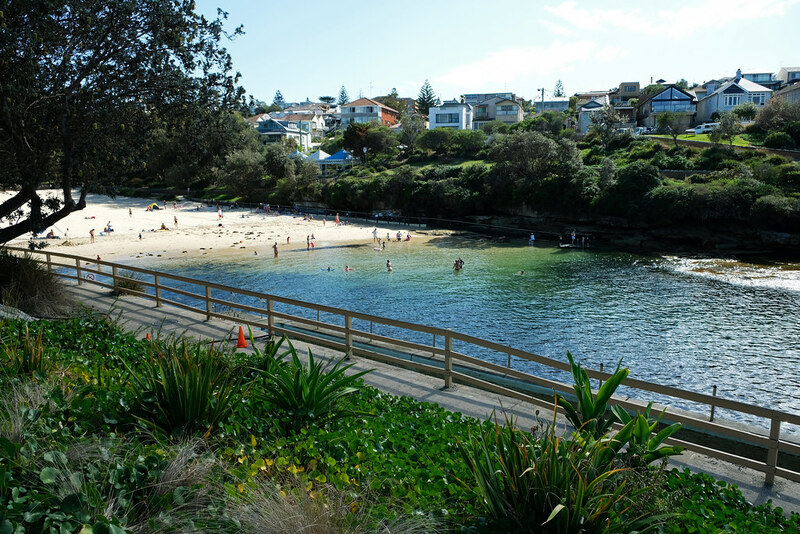 The next bay was Clovelly Beach, a protected, shallow little cove that’s the ideal beach for families with small kids. We didn’t stop here for long though. Then we had a longer walk until the next beach, but this section was probably the most spectacular. We walked on high cliffs, and then we walked through the strangest cemetery we’ve ever seen: Waverley Cemetery. It’s a historical place, but what we found so strange was the wonderful ocean views and all the palm trees among the tombs. I guess this is how a cemetery on the ocean coast looks like, but it gave us such a mix of sad, old and yet colorful and funky vibes that we just haven’t expected. Then came Bronte Beach. This one is special because a protected pool is made of larger rocks, and that area of the bay is safe for swimming even for smaller kids. 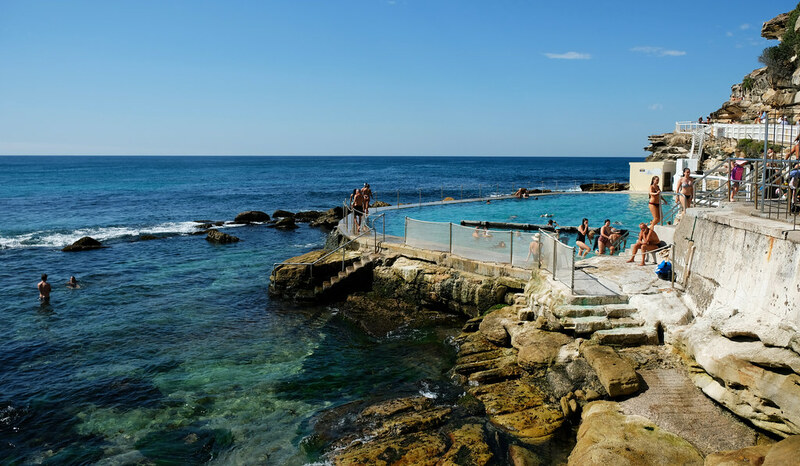 Then there’s the coolest swimming pool we’ve seen so far: Bronte Baths is right by the ocean, and it’s free to use! 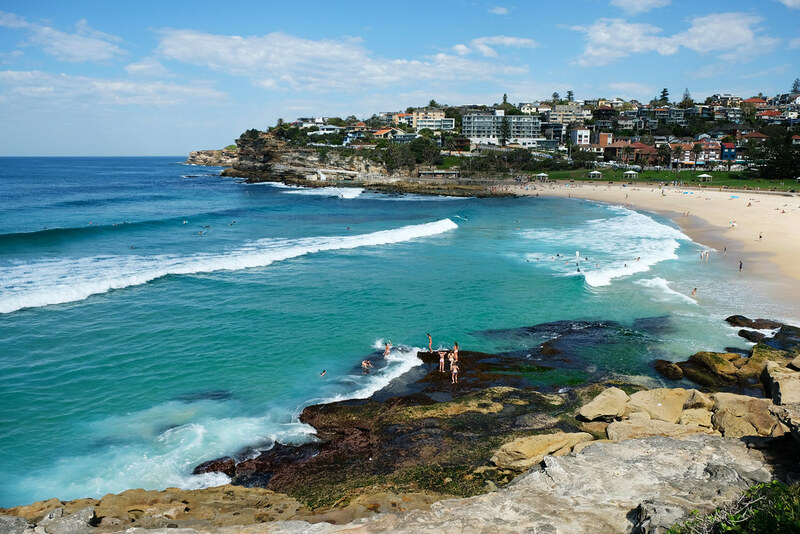 Tamarama Beach is just a short walk from Bronte Beach. We found this turquoise bay the prettiest during our beach walk. The result: we stopped for a swim both on the way to Bondi Beach and on the way back. 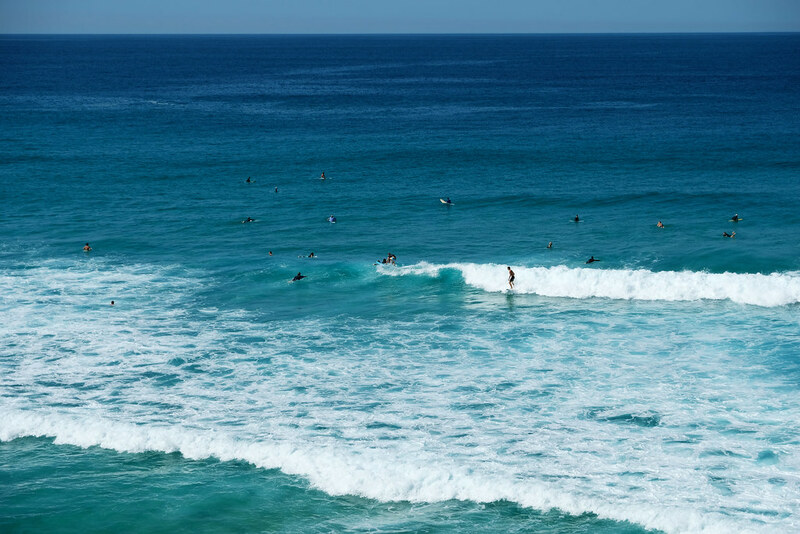 Surfers love it, too, there are dedicated areas for surfing and swimming at Tamarama Bay. And again, it has a lovely park, too. 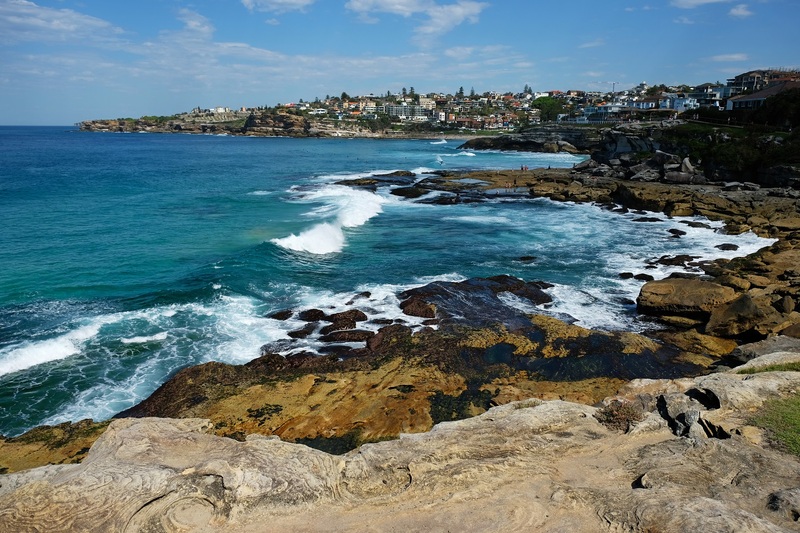 Tamarama Point, and a bit further, Mackenzies Point both offer stunning views of Tamarama and Bondi Bays. And it was around Mackenzies Point where we realized that we had to turn back if we don’t want to run all the way so that our parking ticket doesn’t expire. Strange or not, we actually haven’t been to the most famous beach of Sydney. We only got a view of Bondi Beach and its bay from Mackenzies Point, and then we turned back. 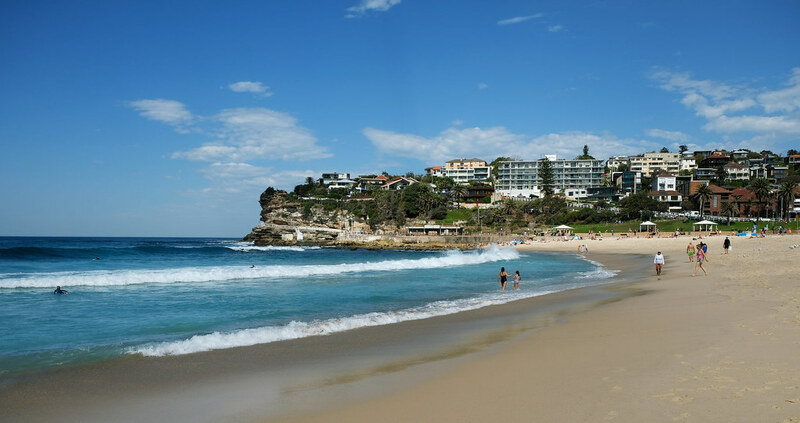 Then we randomly decided to have another swim at Tamarama Beach, because we liked it sooo much. Have you been to Sydney? Which beach is your favorite there?